Producing first class standup comedy theater, shows and fundraisers featuring the best and most accomplished comedians in Boston, New York City, throughout Massachusetts, New Hampshire, Maine and greater New England. 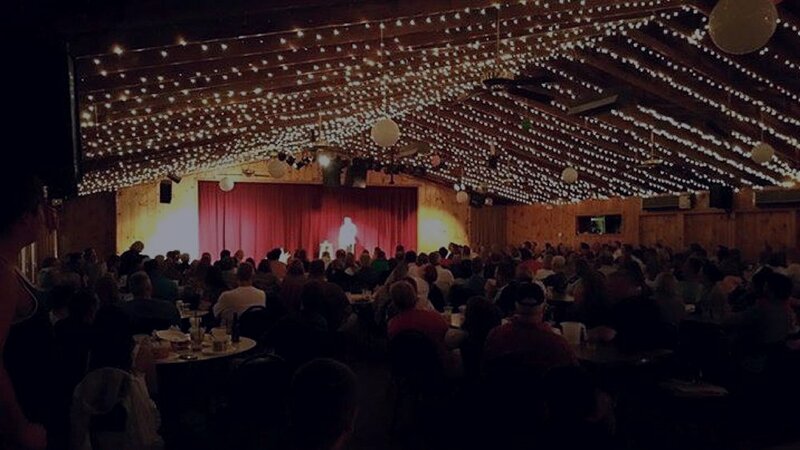 not just in the quality of its comedians but also the thought put into every comedy show, time spent with the customer, and attention to detail. We have the best comedians from Boston & NYC. "We were ecstatic...The event was a smashing success because we filled the room, but even more important is that people left with wet faces from laughing so hard." This was our 2nd annual comedy night and Scamps brought all the laughs. It was a huge success...they were the most professional company that we had ever worked with...the tickets sold themselves..."
"Thanks again for everything. Not one bad review. Everyone loved the comedians. We are clearing $21,300 to give to the school. Best year yet... $4,280 more than last year. Awesome night..."
Scamps uses a diverse and deep group of comedians from all over New England. We list some of our favorites here, but are always working with new and established acts from all around the northeast.